Awww so sweet! 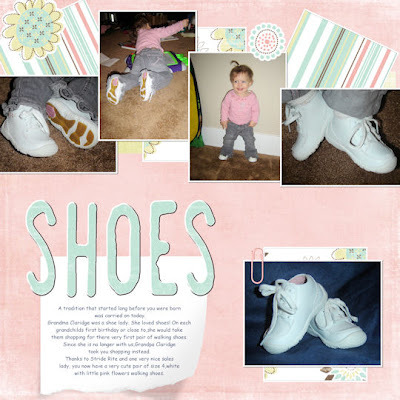 I love first shoes! This is so cute, so far I've been scared to dabble with any online scapbooking (one more thing to be addicted to)! Aren't you just loving the weather!!! Hope you and your little people are getting to play out side a lot.